This has got to be one of my favourite Christmas presents I received this year. 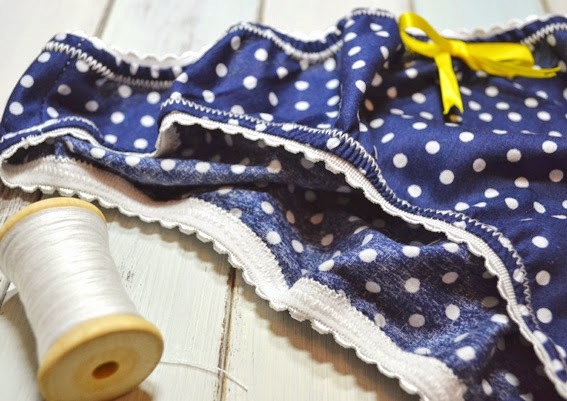 My mum bought me this DIY polka dot knickers craft kit by The Makery and when I opened it on Christmas day I couldn’t wait to get crafting. 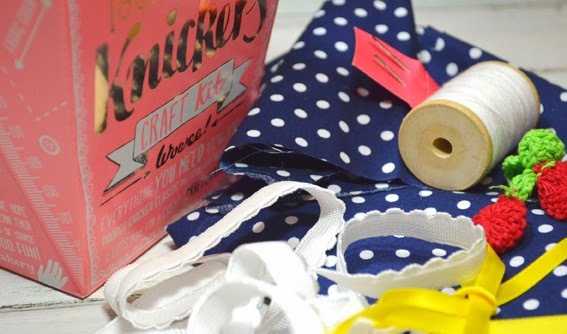 The kit comes with everything you need to sew your own handmade knickers in this quirky ‘takeaway’ size box, including easy step by step instructions and pattern in sizes large, medium and small. 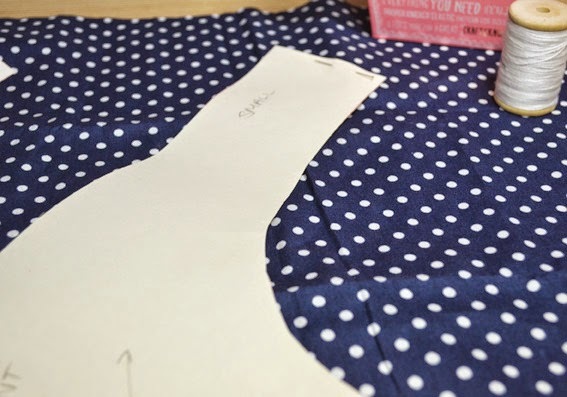 Although the pattern is ready for you just to cut out in the size you want, I decided to trace the pattern pieces and cut them out on some spare lining paper I had. 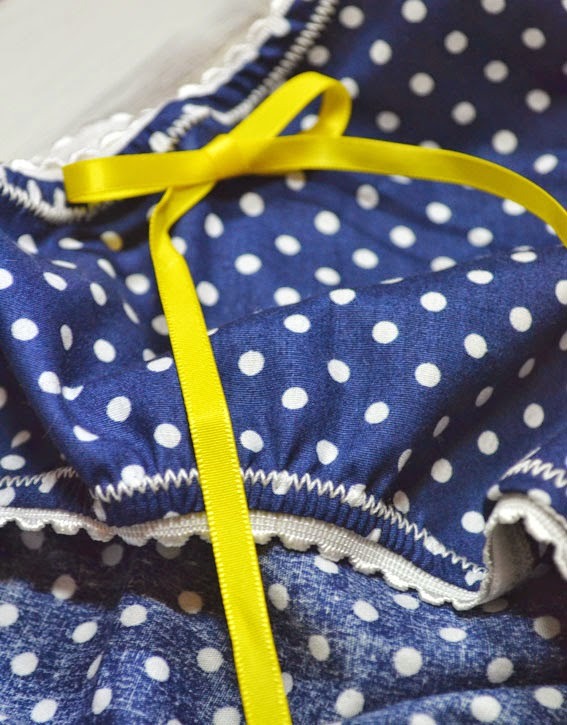 This way I can use the pattern again in various sizes if I want to make more knickers for people as presents. 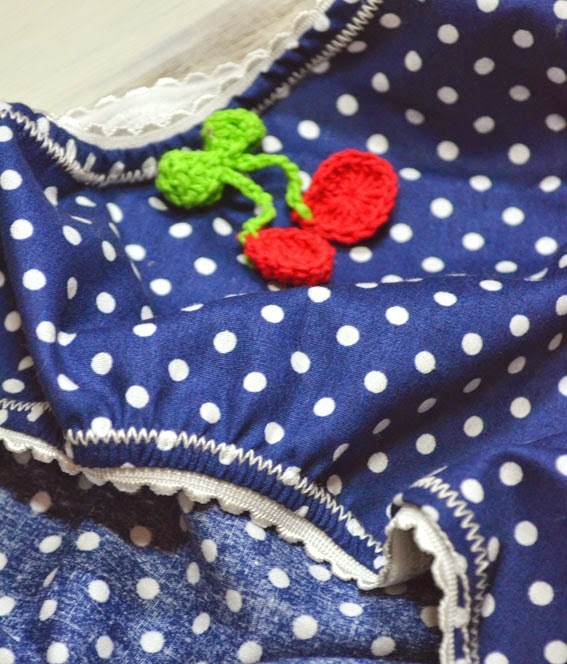 These knickers I have made I am keeping all for myself however, as they are just too cute. 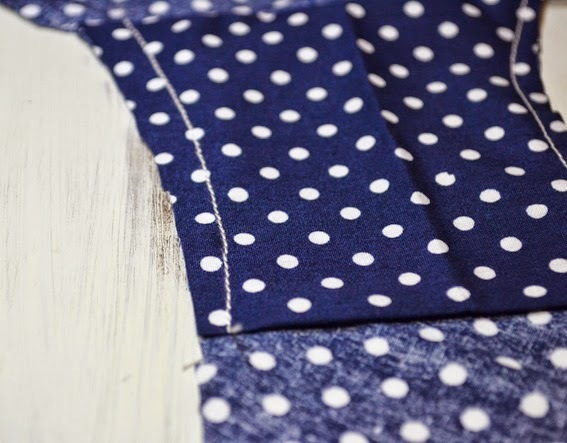 I started by cutting the spotty cotton fabric around the pattern in size small, and with right sides facing, pinned and sewed the gusset, back and front together at the bottom and sides. 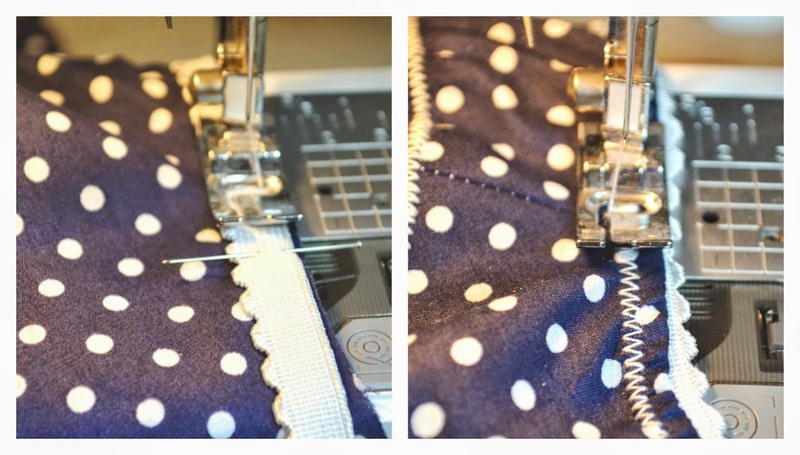 I then used the elastic in the kit to create ruched edges to my leg holes and around the top. 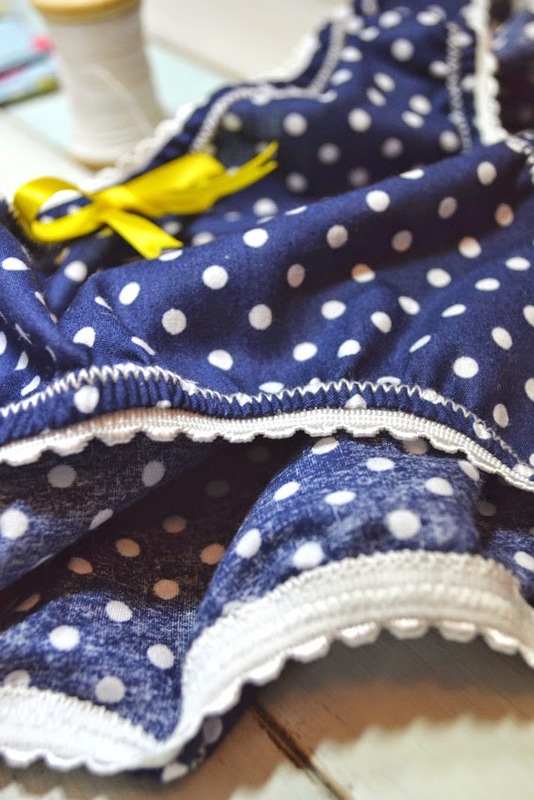 The elastic is really soft knicker elastic with a cute scalloped edge which just peaks over the edge. 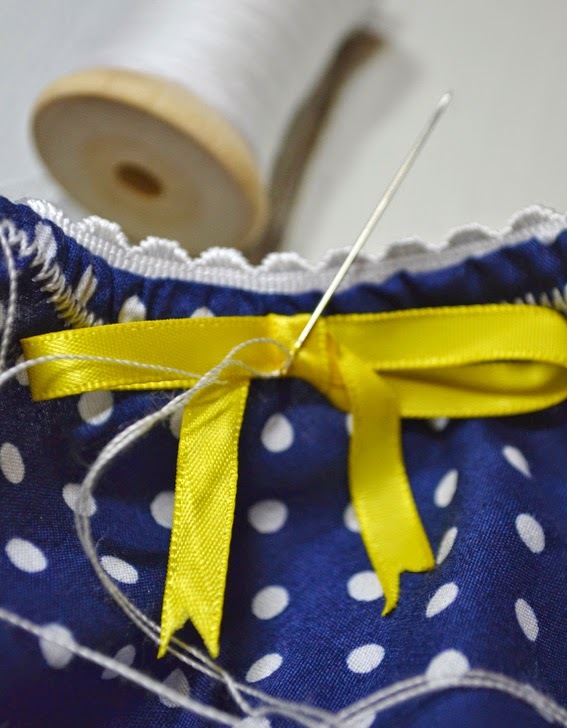 The kit comes with a choice of retro crochet berries or traditional yellow ribbon for a bow to add a finishing touch. 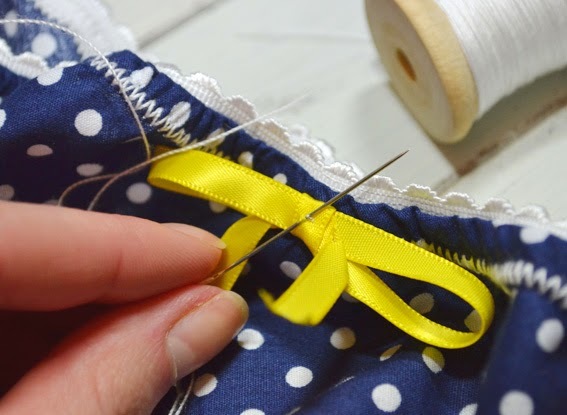 I chose the ribbon as I loved the bright pop of colour it added to my pants. 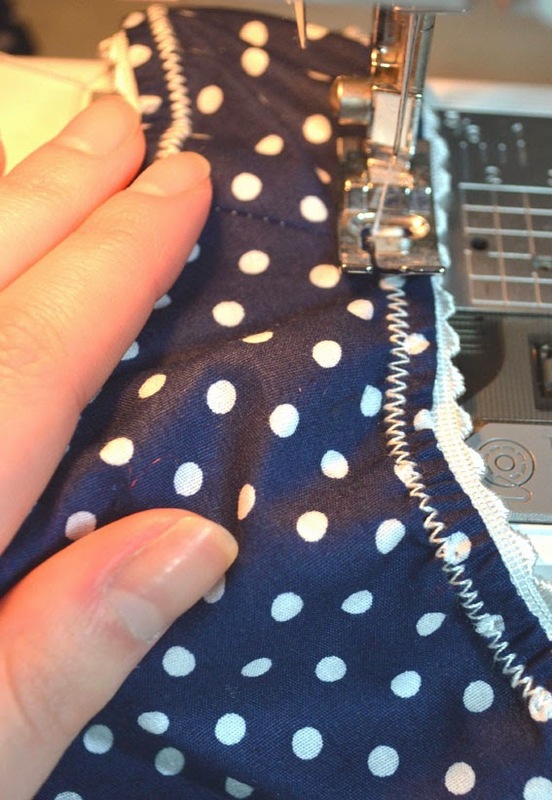 I am so happy with how the knickers turned out and the fact they actually fit perfectly is the icing on the cake. 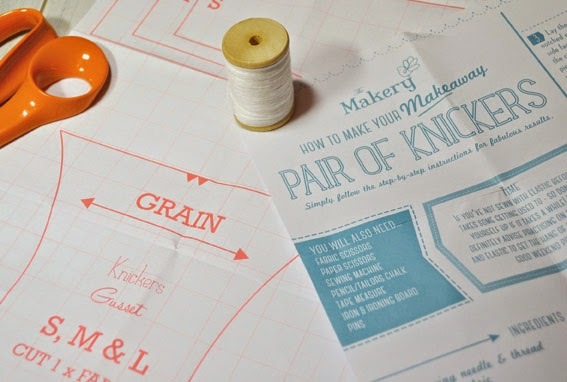 I love this kit from The Makery, it only took my a few hours and the easy step-by-step instructions were so helpful. 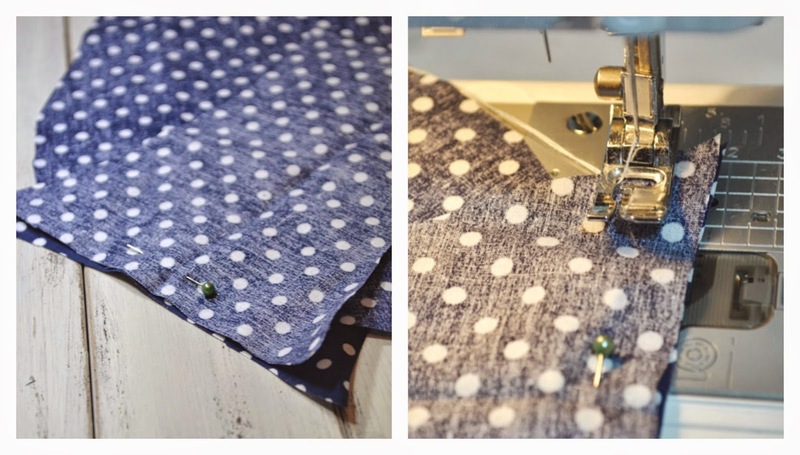 If you are a novice to sewing this is a great way to ease yourself in to the hobby as well as learning some new skills. 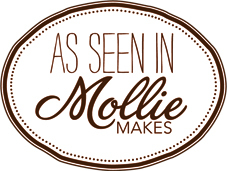 The kit was £15 and makes a great gift for a crafty friend. 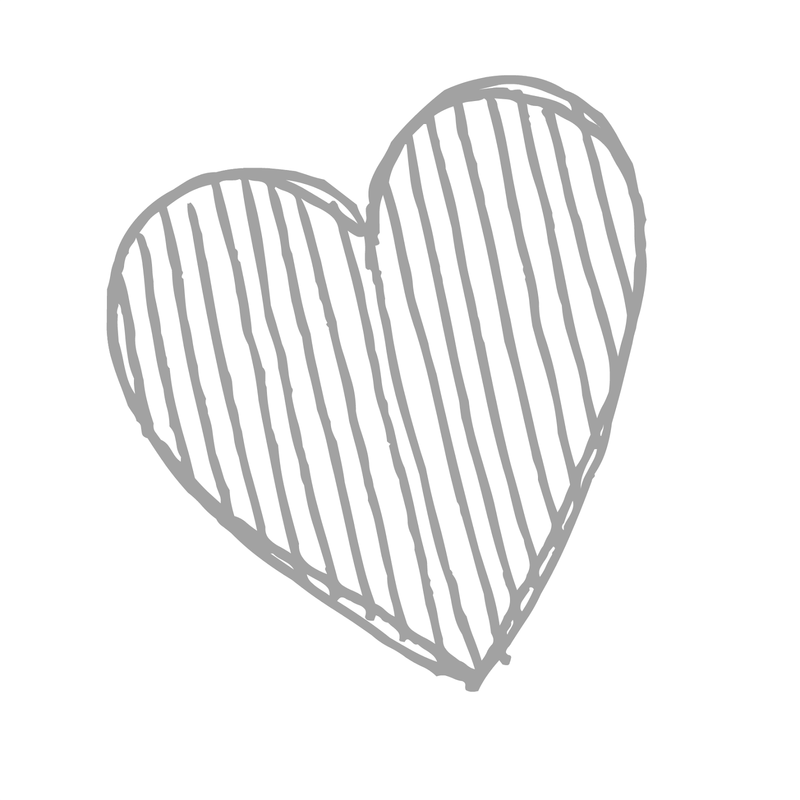 Check out The Makery website here. 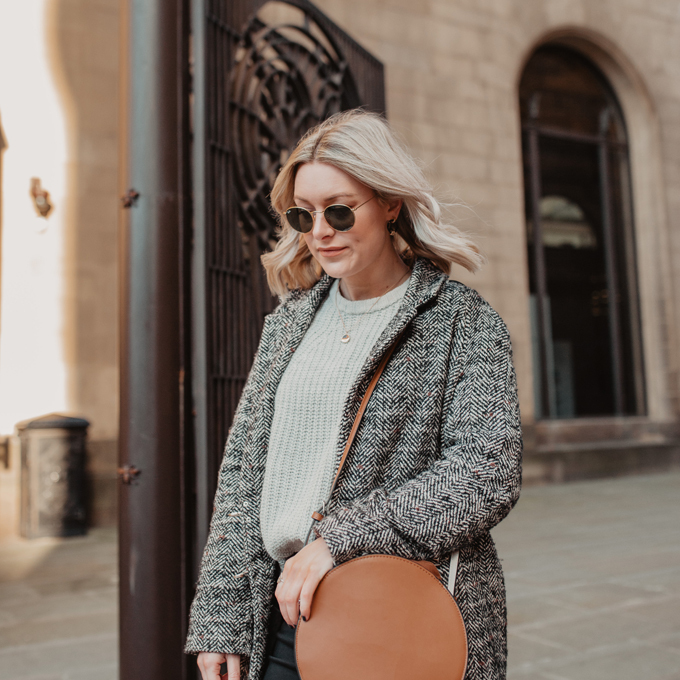 They sell other handmade projects such as an adorable clasp purse and for the winter months a DIY knitted pom pom hat. 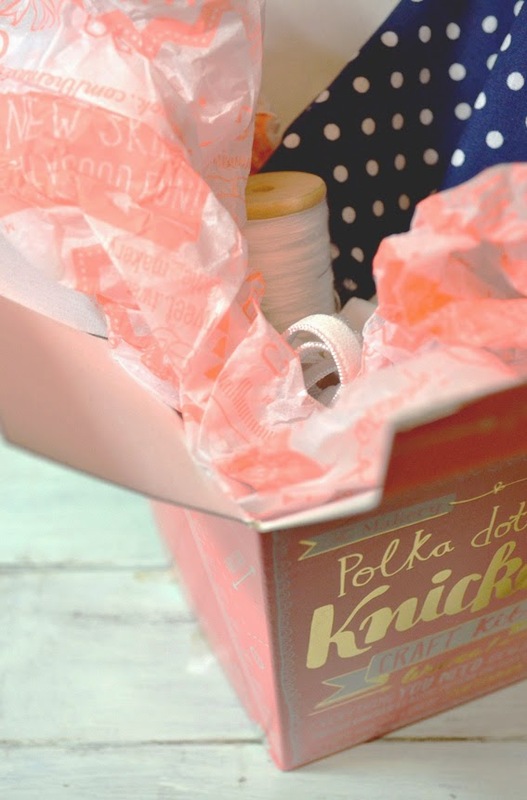 Did you get any crafty gifts this year? 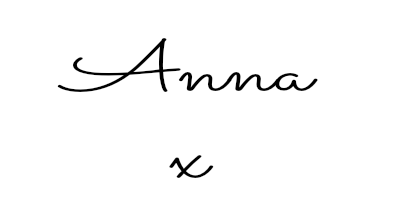 Follow Anna’s board | Knit | on Pinterest.